Tamiya Holiday Buggy - my first ever RC car! 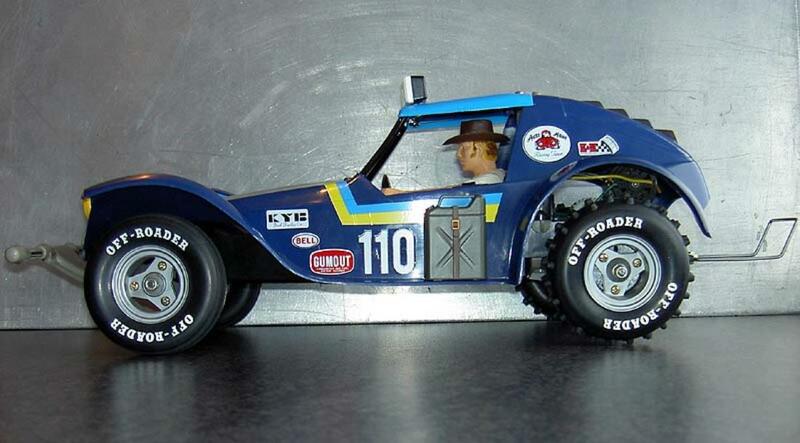 This beauty was released by Tamiya back in december 1980. It probably arrived in 1981 in Norway. The first entry level so called 'dual purpose vehicle' for both on- and off-road use. Styled according to beach buggies of south california the Holiday Buggy body was placed on a very simple bath-tub chassis, with no dampers, open gear box and a RS-380S motor to keep the cost down. Back then we lived in Moltmyra, Heimdalsbyen, Trondheim. A guy down the street named Are had bought a Holiday Buggy, and was having a blast on the paved internal streets of Heimdalsbyen. I was instantly hooked! in Trondheim, but ended up paying NOK 720 in stead of 690, doh! especially Techo Lego. But when I discovered RC I was in heaven!!! One of the pictures are of my original car, when I was a kid. It has Rough Rider rear wheels. Blurry pic, but early 80s compact cameras were not like today's digital SLRs... I had so much fun with this car. And did lots of modifications on it. Upgrading from the 380 to the 540 motor. Nobody told me I needed a new motor mount, so that was a pain in the a*** at first! Tested with different front springs, and those were ball pen springs! Later fixed and strengthened the front suspension (long screw through the swing arm mount + large washers at the upper spring mounts). Even made it waterproof with the use of plastic and tape. And made sort of a dust cover for the gears from some blister pack transparent plastic. It was at first in the original colors, but ended up being all black before I sold it. 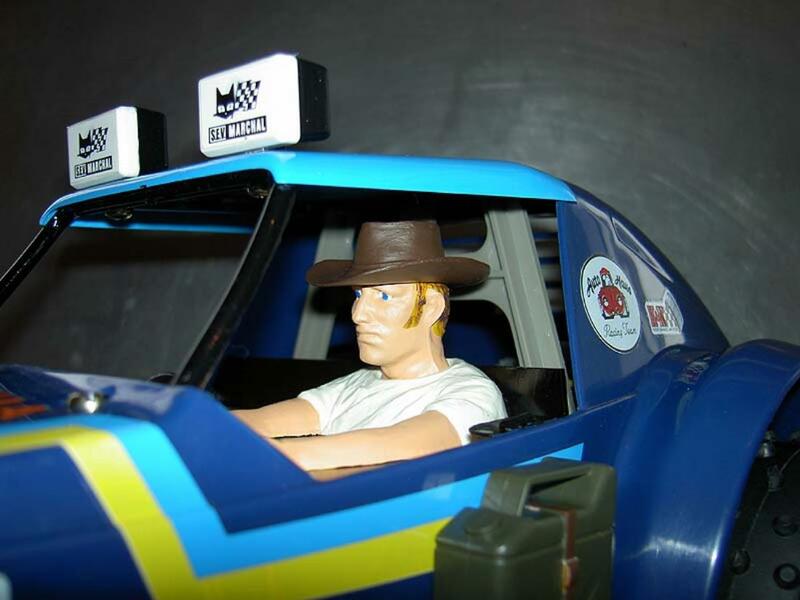 I could only afford one car at a time, and had to sell it in order to buy the much hyped crazy Wild Willy! 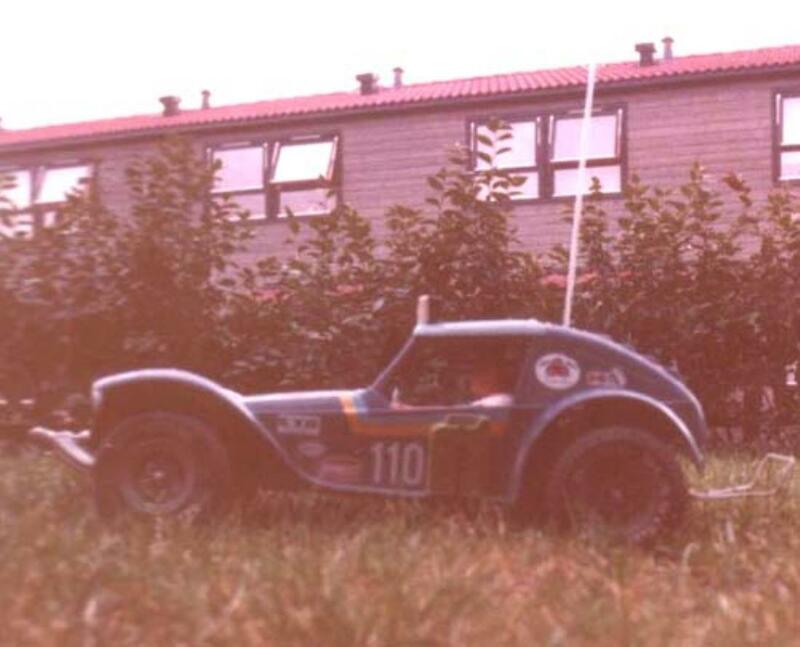 My father was the manager of a shop called 'Kvikk Husmorservice' (consumer electronics, TVs, washing machines etc) at that time, and my early RC cars were all sold in the display window of that store. On a velvet rotating stand... hard to resist! Getting hold of this HB from my childhood would later turn out to be also my 'downfall'... this is where I for the 1st time discovered the dark side, more precisely ebay!!! I bought this car from ebay/US, and it was new built and in perfect condition. The only thing I did was paint it and do the tire lettering. I've only ever done tire lettering once before, and that was on my original HB. I had forgotten how time consuming it was! I had to do the painting of all the details two(!) times, as I used acrylic paint first. Being water based it was in hindsight not a very bright idea to try and get rid of the dust by showering it... It's 100% original, except that I painted the roof supports/bars gloss black, and the rear sun protection matte black. I think that looks better. I also did not know then that you could 'snipe' ebay auctions, and I remember bidding in the middle of the night on my cell phone with a web browser. Under the bed blanket, while my girlfriend was sleeping beside me.Thank you gixen.com for ebay auction sniping service! Makes life so much easier! 15.3.2013 update: Now with a picture of it from a temporary exhibition in 2012 at the Norwegian Technical Museum in Oslo - it's famous now!!! The mighty Holiday Buggy! Now on winther holiday... :-) Positive camber in the front, negative in the rear Hey cowboy! 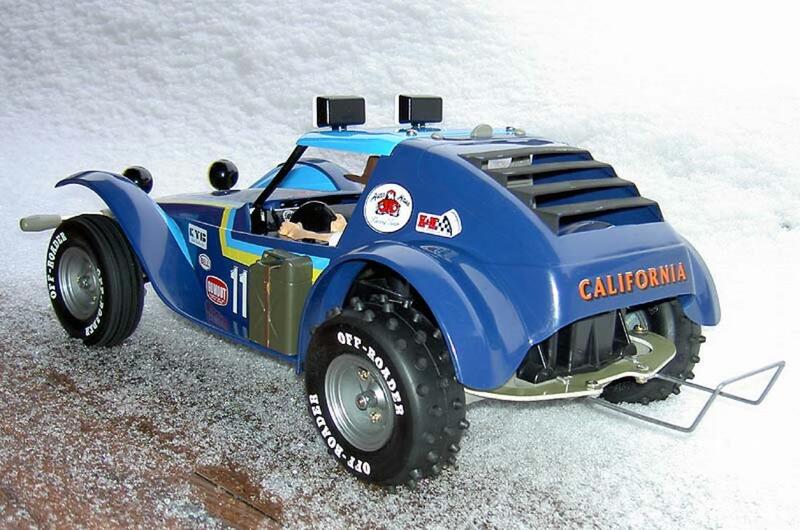 One of the very best looking RC cars ever! On exhibition at the museum in 2012!!! An unmistakable silhouette! An icon! The fantastic speed control, very smooth!!! 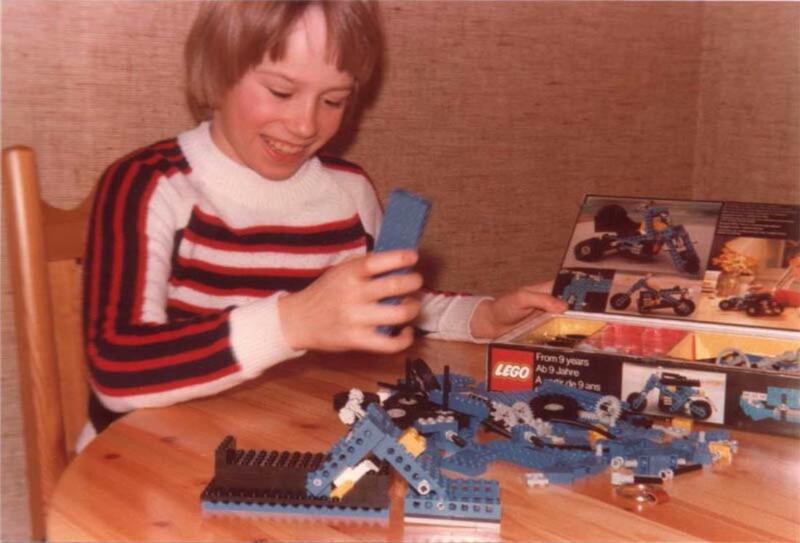 Techno Lego was my passion before I got into RC A blurry pic of my original HB! Looks really good there! What kind of paint did You use on the body? I think we can all relate to your story in whole or part, very sharp looking HB!! I am a very very BIG fan of the HB its such a great looking buggy and has bags of charisma! A true LEGEND!!! are you going to run this Baby? I will take my HB out 1 or 2 times a year down the beach for a very light run but most of all she will sit on the shelf for me to admire but i have a spare set of wheels for running because as you said it takes a long time doing that tyre lettering! This buggy is to much fun to drive and to much of a big time Tamiya historic car not to run at least the one time! (nice and easy with her) and take some pics to put on here at the same time! 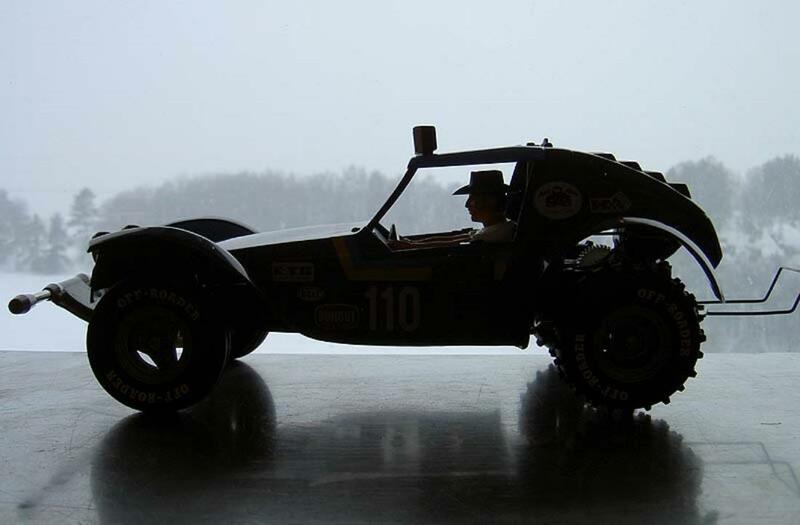 you had the same feel about the car in a silhouette as me and what a icon!! 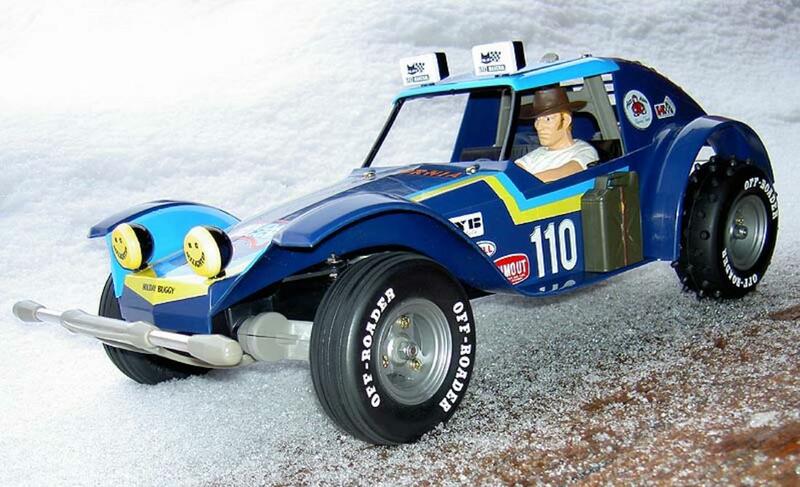 sorry to go on about it but i have a big passion for the Holiday Buggy its in my top 4 Tamiya cars of all time for good scale and looks with big charisma! The Fab 4 as i put it! its a fight between the Holiday buggy,Sand Scorcher,FAV,Wild One ! Thats to close to call!! Cheers MAD-BEE. looks absolutely fabulous.a nice paint finish. Nice story, and such a great car! These are the stories I love to read! The same thing happened to me when I got my first out to restore. Everything just snowballed from there..
Great to see a Holiday Buggy in such immaculate condition ... excellent! Congrats ...a perfect classic! I like the black louvers, looks way better!! A beautiful example of an iconic model. My first r/c too so I have a big soft spot for these. The force of eBay is greater than any of us I'm afraid. Resistance is futile! A perfect car and a cosy story! Great looking Holiday Buggy, I have that Lego set it was my first technical lego it's a go kart going to get it out again and build it! Thx! Great idea! I know my mum has all my Lego as well, must get hold of that! 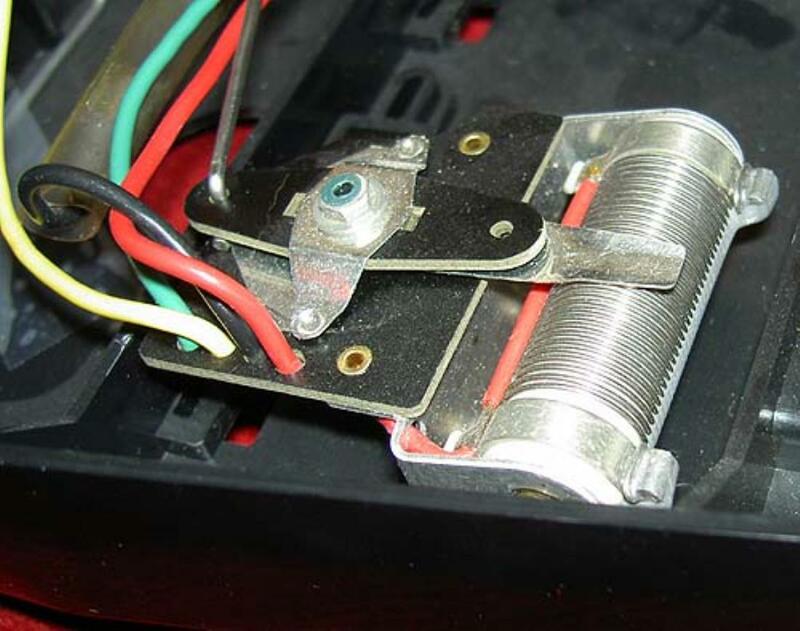 I remember I used a controller for it too, with cord, so I could control it forward/reverse + steering! In a way my first RC!!! I think these are just fantastic. 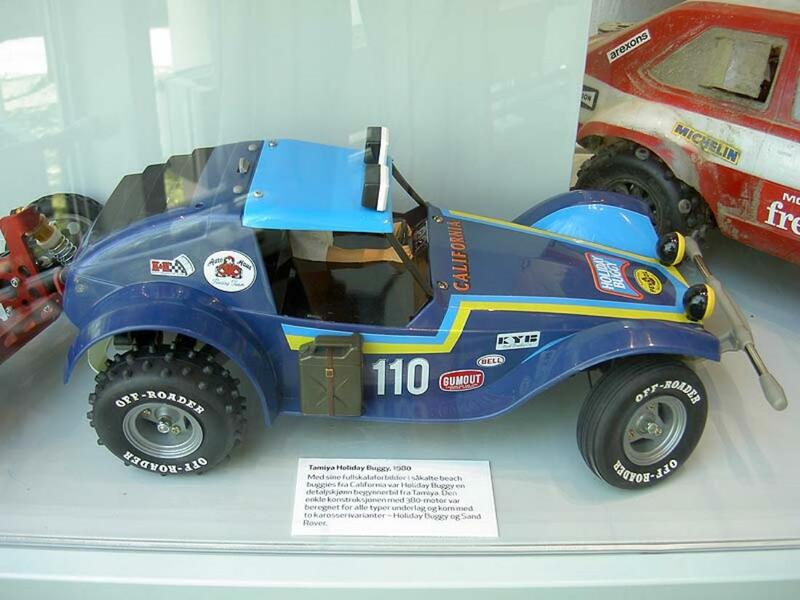 I have never seen one in person though (I haven't seen most tamiya's in person unfortunately). Can I ask what the red car on the right in the museum picture is? Just curious. Thanks for updating this model, its made me feel so good again... the memories are so good, all I cared about then was getting home from school to play/clean/build/mod the HB..... AWESOME !!! 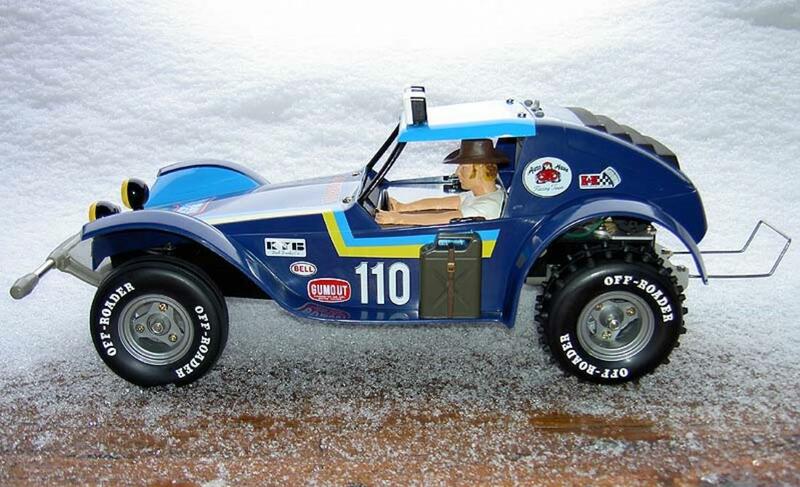 Nice build...A Sand Rover bought me to my addiction!! I remember my friend having one. I had a faster Ford Ranger at that time. But he had more fun cause he could drive 45 minutes before the battery went dead. I was happy to get 15 minutes of drive out of 1 battery. Oh, I adore that old pic!